Hi guys. There's so much talk of contouring right now I felt like I was missing out but I didn't want to splash out on one of the more expensive contouring kits though incase contouring wasn't for me so I picked up the Barry M palette, so reasonable at just £6.49 and I got mine from Superdrug. It's not the most stylish to look at and the powders are contained in a cardboard palette so if it's being carted around in your make up bag I'm not sure how long it will last! On the occasions that I've used it, I've put it on, left the house and the palette has stayed at home. There are three shades. The light powder for highlighting, the medium brown which is the bronzer, and then the dark brown which is the one for sculpting and contouring. As you can see there's also a little step by step guide inside the lid. Would this box of tricks give me the chiselled cheeks I so desired? Well, I found them all easy to apply and liked the overall effect of contouring but the more I applied the more muddy my complexion looked and if I didn't blend them in loads all you could see was a sharp line from the corner of my lip to my ear, not quite the finished look I was going for! After the first couple of times I got the hang of it a bit more. Blend, blend, blend. To be honest it may be that the shade of these is not right for my skin, I'm not sure. The powders are quite pigmented and do last, as I said I apply and leave it at home, no touch ups done yet. 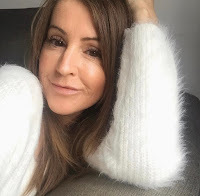 I've given you a shot of me (sorry) with said contouring, forgive the wrinkles and ridiculous pout but trying to show off my handy work, I thought about airbrushing the old age wrinkles out but then that's not real is it? I do need more help though in the contouring department, think I've a bit of a way to go before I'm contoured like a Kardashian! But then I keep asking myself if contouring is even right for a older face like mine???!!!! And another question, I'm not sure if it's as easy to contour when you have freckles, does it look like one big splodge? I think that's why it looks more 'muddy' on me. Damn you freckles. Answers on a postcard. Anyway, I'm glad I bought this cute little palette and will keep using it, especially throughout the summer to enhance the tan that I'm dreaming about right now! So, if you're thinking of trying your hand at contouring give the Barry M palette a go, the price is so reasonable you can't not. You can find the palette at Superdrug here. Oh and they also have a short video showing you how, albeit on a very young beautiful model!!!! 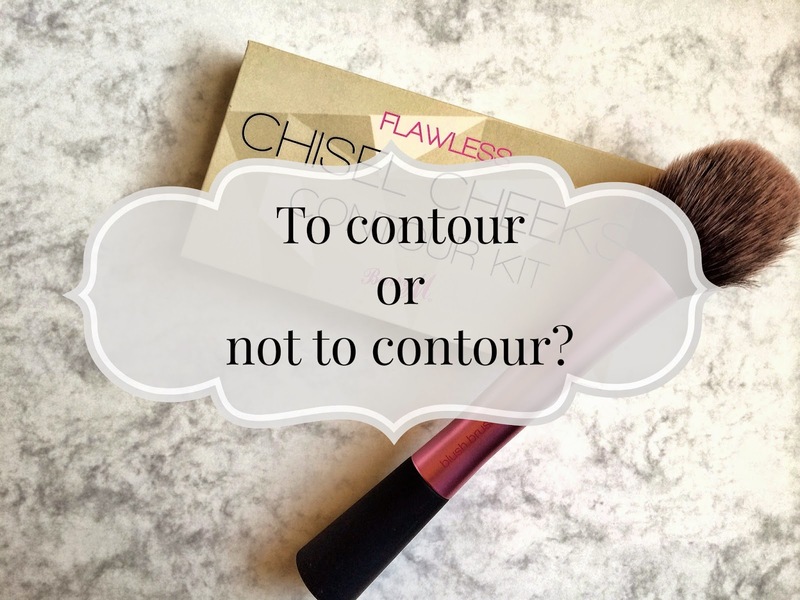 Are you a fan of contouring? Can you do it well? (send your tips) Have you tried the Barry M one? Don't forget you can follow me on Bloglovin to keep up with all my posts. Click here. AHHH i Love it! Looking fabulous as usual. I like the contouring trend, I just wish I was better at it. Because I am still learning, I use drugstore kits, I have the Sleek and the Makeup Revolution ones, but this sounds lovely as well. Hi Amy. Thats very sweet of you but think you are quite right about if looking different in real life, but then maybe we are just to critical of ourselves anyway and are always trying to achieve that perfect look? Thanks for taking the time to drop by and comment.